Ensign, April 2001, pg. 4; “How many planets are there in the universe with people on them? We don’t know, but we are not alone in the universe! God is not the God of only one planet! Abraham 4:1; “And then the Lord said: Let us go down. And they went down at the beginning, and they, that is the Gods, organized and formed the heavens and the earth”. John 1:3; “All things were made by him; and without him was not any thing made that was made”. As you can see the inspired Mormon scripture completely contradicts what God says. Where in scripture does it say that God lives on or near something called Kolob? And why did Mr. Maxwell lie when he said that Jesus created the worlds? They clearly don’t believe this! Abraham 4:3-31. And where does God tell us that we’re not alone? Notice in Genesis 1:1 the word “earth” is singular. 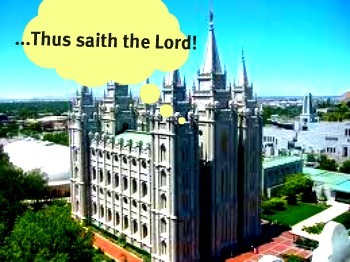 While reading the passage in John’s gospel it should also tell the Mormons that Jesus is God!